At True & Dorin Medical Group, we provide comprehensive treatment options to help our patients achieve full and natural-looking results. Our doctors can help you determine what type of surgical or non-surgical treatment, or a combination of the two, can best help you achieve your hair restoration goals. For patients who are considering surgical hair restoration, FUT and FUE both offer safe and effective solutions for hair loss. It is important to understand the advantages and disadvantages of each technique, as well as compare results of the two side-by-side. True & Dorin Medical Group offers advanced medical therapies for hair restoration. 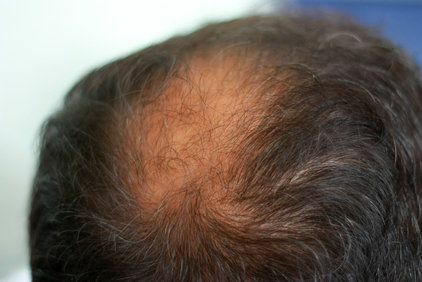 Platelet-rich plasma (PRP) can accelerate tissue regeneration and be helpful for thinning hair. A bio enhanced hair transplant uses a plasma-rich solution to aid the healing process and encourage the growth of new hair. We offer several non-invasive treatment options for patients concerned with thinning hair. PRP therapy combined with ACell, low level laser therapy (LLLT), and scalp micropigmentation can all improve the appearance of your hairline.